Shaw Contract Group recently introduced an exciting new carpet tile product which is already finding its way into plans our customers are bidding. 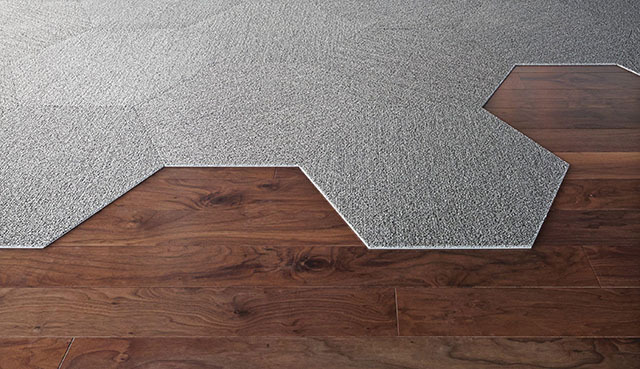 While the hexagonal designs allows for some exciting new design options, it presents some special challenges for estimators. Designs frequently call for different colored tiles to be set individually to form elaborate designs. Additionally, even when tiles of the same color are specified they are frequently expected to be turned in random directions when installed. Measure 2014.1 (to be released this month) solves both of these problems and more. 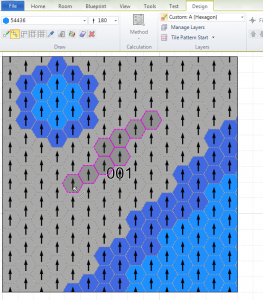 The tile editor now allows custom designs to be created with any tile shape, including hexagons. The lay direction of individual tiles can also be set. The Random Tile design now allows lay direction to be specified. In fact, any Quick Tile design can now incorporate lay direction. This is just one of many new features and improvements included free as part of your active Measure subscription when you install Measure 2014.1.